WESTERVILLE, Ohio, Dec. 4, 2018 – Mount Carmel Rehabilitation Hospital, in partnership with HealthSouth will unveil its new name and brand as part of its Company’s name change and rebranding initiative. Beginning Jan. 1, the inpatient rehabilitation hospital will be known as Mount Carmel Rehabilitation Hospital, an affiliate of Encompass Health. It will continue to provide the same high-quality, post-acute care for patients overcoming a variety of major illnesses and injuries. 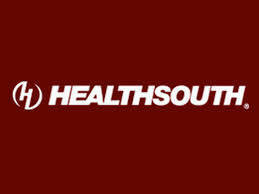 Birmingham, Alabama-based HealthSouth Corporation launched its new name and brand on Jan. 1, 2018 and will be transitioning its 130 inpatient rehabilitation hospitals and 273 home health and hospice locations serving 36 states and Puerto Rico through 2019. All of the Company’s post-acute care service locations in Ohio will migrate to the Encompass Health name and brand on Jan. 1. Mount Carmel Rehabilitation Hospital, in partnership with HealthSouth, is a 60-bed inpatient rehabilitation hospital that offers comprehensive inpatient rehabilitation services. Serving patients throughout Columbus, the hospital is located at 597 Executive Campus Drive in Westerville and on the Web at www.mountcarmelrehab.com.